The Rotary Club of Oswego was chartered in February of 2003 and began helping the community immediately. Since then, the club has grown to over 50 members. 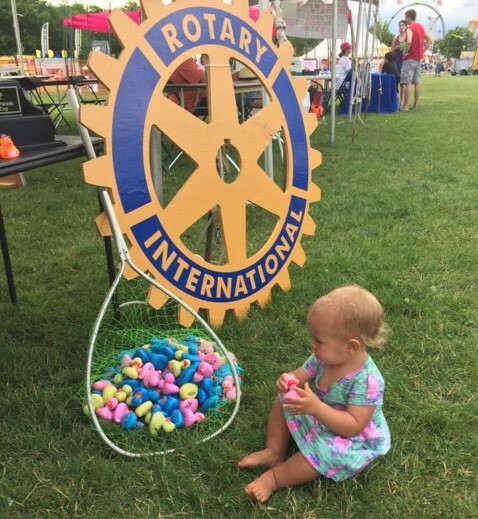 For over ten years, the Rotary Club of Oswego has been bringing together people and resources to improve lives within our community and around the world. Our club participates in a broad range of humanitarian, intercultural, and educational activities designed to improve the human condition. Oswego Rotarians meet weekly for fellowship and interesting and informative programs dealing with topics of local and global importance. Membership reflects a wide cross-section of the community. Together, we plan and carry out a remarkable variety of humanitarian, educational, and cultural exchange programs that touch people’s lives in our local and world communities. Click Here to email for Membership Information. If weather is inclement, please call ahead to make sure that we are meeting! DUCK RACE Thank you to our 2018 Sponsors!